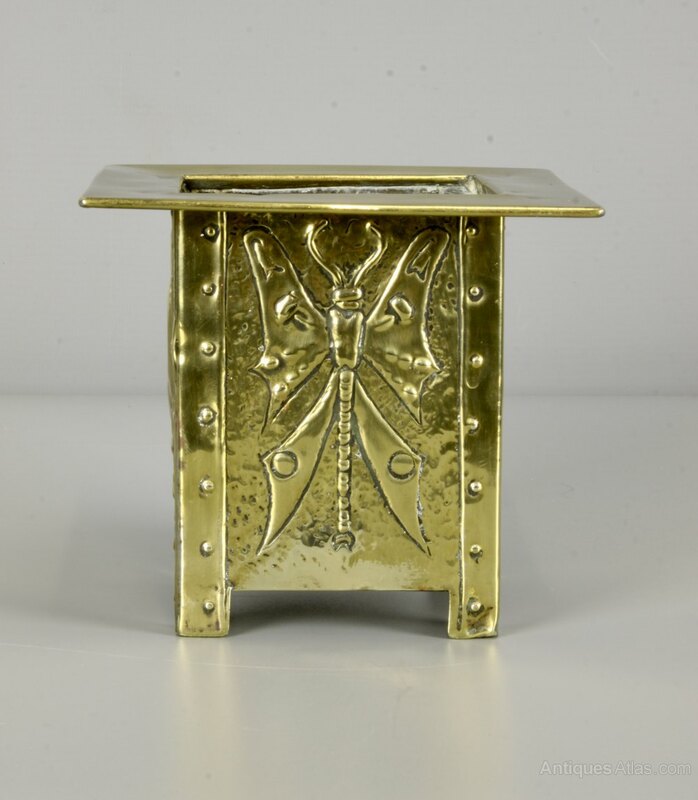 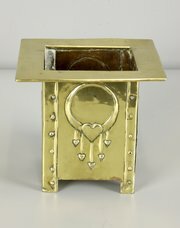 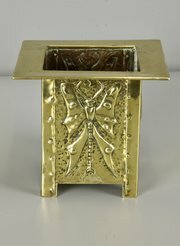 A great Glasgow School Arts and Crafts small brass jardiniere or planter, probably made by Margaret Gilmour, and dating to circa 1910. 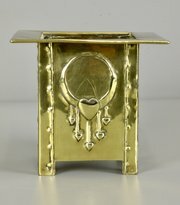 Offered in reasonable condition, commensurate with age, there are a few rubbed holes to the faux strap work decoration and slight creasing to the feet, but overall it displays well and the flaws aren't noticeable except up close. 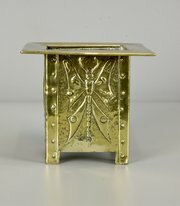 It measures 11cm high and 12.5cm wide. 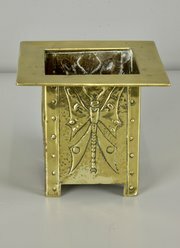 The price includes UK postage.